It's Facebook Fridays! for November 28, 2014! Thanksgiving is over -- time to fix some serious issues. 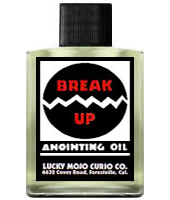 The Lucky Mojo Curio Co. is holding a random drawing to give away 5 powerful Break Up spiritual supplies to destroy inappropriate relationships! 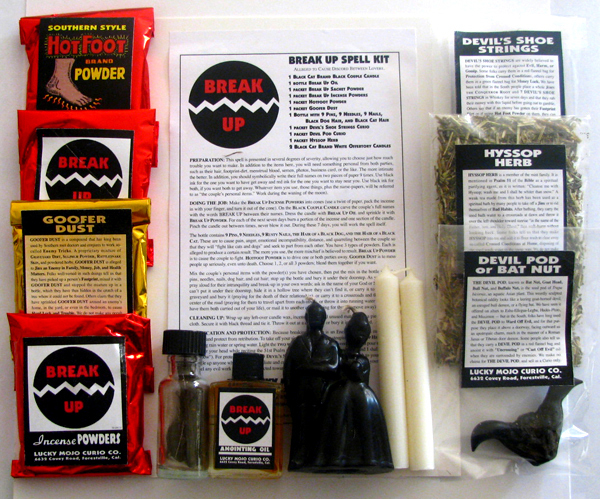 This week's prizes are a potent Break Up Spell Kit with all ingredients and complete instructions; one fixed Break Up Vigil Candle, one bottle of Break Up Dressing Oil; and two packets of Break Up Sachet Powders. First thing tomorrow morning, we will select FIVE winners at random, announce their names here, and ask them to message this Facebook Page with their mailing addresses, so we can send them their FREE Break Up products. We have a winner! In fact, we have FIVE lucky winners! Our Facebook Fridays! winners for November 28, 2014 are: Maya Nicole Johnson, Ke Tillery, Alana BeautifulDiva Kat Reynolds (Hadley), Zakia S. Holly, and Talise Johnson.